Many people are unhappy with the appearance of their smile and avoid showing them as much as possible. If you fall into this category, you can take comfort in the fact that you aren’t alone – far from it. While exact figures are unavailable, studies show that the majority of us have at least one aspect of our smile that we dislike. As such, perhaps it is unsurprising that more people than ever before are turning to cosmetic dentistry to make improvements to their smile. Today, bright, straight, and perfectly proportioned teeth are highly desirable characteristics. Many people agree that a beautiful smile makes people appear healthier, more successful and more attractive. However, if you are less than satisfied with the appearance of your smile, the effects on your confidence and self-esteem can be devastating. It is not unheard of for people to avoid eating in public, having their photograph taken, and even speaking to others because they feel that their teeth look unattractive. Fortunately, an experienced cosmetic dentist can address most aspects of your teeth that you are unhappy with. Porcelain veneers are a popular treatment that can fix a range of cosmetic abnormalities. Veneers are generally created and supplied in complete sets, each custom-designed specifically created for your teeth. Porcelain can be created in a variety of shades, making it possible to lighten the color of your teeth. Once the veneers are individually applied to your teeth, they also completely cover any imperfections and transform the appearance of your smile. Once your veneers have been designed and created, they will be delivered to our offices so that they can be fitted. To do this, Dr. Spellman will need to file down some of the existing enamel on the outside of your teeth, as this will allow each veneer to fit flush to your tooth, and not feel or look too thick. This is done using local anesthetic, so you will not be in any pain. Once Dr. Spellman has checked the fit and placement of the veneers, they will be secured individually using an adhesive resin, which is the cured with a special light. This process is completely painless. Once all of the veneers are in place, you will immediately be able to see the final appearance of your smile. They are also a good alternative for patients who have tried teeth whitening but have not been able to achieve the degree of whiteness that they hoped, or patients who dislike the color of their smile but are unable to use bleaching products. If you are unhappy with your smile imperfections and think that porcelain veneers may provide the ideal solution, we would be delighted to help you. 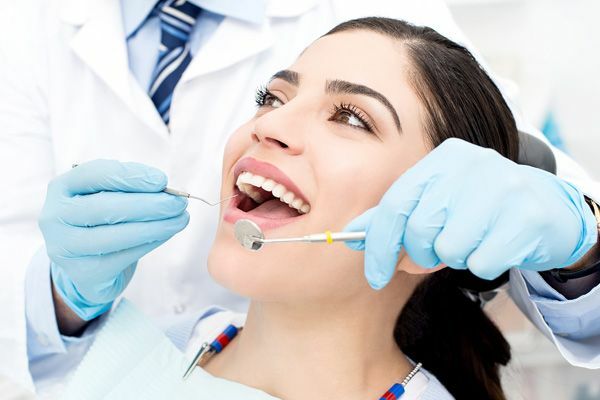 Dr. Eric Spellman is an experienced cosmetic dentist, who is dedicated to helping his patient achieve a naturally beautiful and functional smile. Want to learn more about porcelain veneers at Eric Spellman, DMD in Larchmont, NY? Call our office today at 914-618-3400.